Come check out the latest from Fantasy Flight Games–this week it’s a new premium expansion for L5R, and a couple of maneuver dial upgrade kits for the First Order and Resistance factions. Alright folks, step right up and feast your eyes on the massive new 234-card expansion for Legend of the Five Rings, then take a gander at the two maneuver dial upgrades for X-Wing. Let’s start with the Children of the Empire expansion though, because this one is big–both literally and metaphorically. What exactly is a “premium” expansion you might wonder, it’s basically a whole new collection. 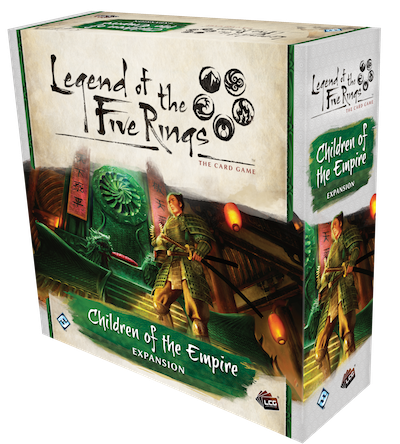 Children of the Empire adds something for every clan as the narrative of L5R advances. Take a look! Children of the Empire features a total of 234 new cards that celebrates the era of tranquility brought upon Rokugan by the Hantei Dynasty. Every Great Clan gets new tools, with themes of dueling and honor persistent throughout the expansion. 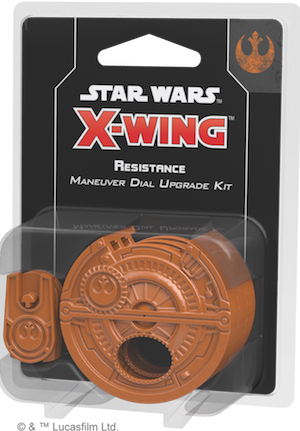 With the First Order poised to usher in a new era of galactic dominance, it’s time to display your loyalty. 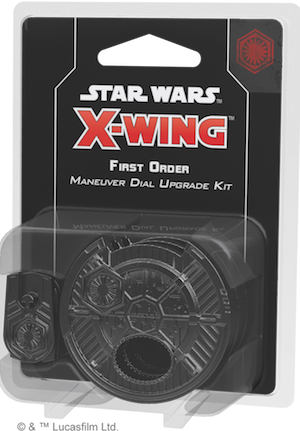 With the First Order Maneuver Dial Upgrade Kit, you can move out of the Empire’s shadow and further customize your X-Wing Second Edition squadron.